New Bottom Base for HP Envy Cover Chassis Housing. Compatible with HP Envy 15-J. New Bottom Base for Lenovo Z50-70 Z50-75 G50-70 G50-45 G50-80 Cover Chassis. New Bottom Base for Lenovo Z50-70 Z50-75 G50-70 G50-45 G50-80 Cover Chassis with speakers. Compatible with Lenovo Z50-70 Z50-75 G50-70 G50-45 G50-80 G50-30. Compatible with: Dell Inspiron 15 7000 7557 7559. This list is For Dell Inspiron 15 7000 7557 7559. A perfect part of Bottom Base Case Cover for your notebook。. Compatible ORDER Model:A1502. 1 X A1502 Touchpad With Cable. Compatible Year:late 2013 Mid 2014year. TESTED AND ENSURED, 100% WORKING. Why Buy From Us?. Early 2015 20150309 MB Pro 13.3 A1502 (EMC 2835) MF839xx/A "Core i5" 2.7 13" 2.7 GHz Core i5 (I5-5257U). Early 2015 20150309 MB Pro 13.3 A1502 (EMC 2835) MF841xx/A "Core i5" 2.9 13" 2.9 GHz Core i5 (I5-5287U). Model: For Macbook Air 11" A1465. For MacBook Air6,1 "Core i5" 1.3GHz 11" Mid 2013. 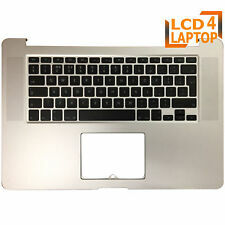 For MacBook Air6,1 "Core i7" 1.7GHz 11" Mid 2013. For MacBook Air6,1 "Core i5" 1.4GHz 11" Early 2014. For MacBook Air6,1 "Core i7" 1.7GHz 11" Early 2014. 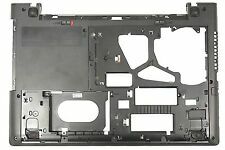 New Acer Aspire E1 Series E1-521 E1-531 E1-571 Bottom Base Case 60. This is your responsibility. • Grade C: Heavy signs of use. Scratches and dents present. Item also may be slightly bent. Touchpad without cable Compatible with following models. 1 Touchpad. For MacBookAir6, 2 mid 2013: MD760LL / A (1.3 GHz Core i5). For MacBookAir6, 2 mid 2013: MD761LL / A (1.3 GHz Core i5). For MacBookAir6, 2 mid 2013: MD761LL / A (1.7 GHz Core i7). Size: 10 7.6 0.3cm / 3.9 3.0 0.1in. Fits Model: For MacBook Pro unibody 13" A1278 2009 -2012. 1 X A1278 Touchpad With Cable. New A1342 Apple Macbook 13" Unibody Bottom Case Rubber. MacBook unibody 13 " 2.26 GHz ( 6.1) core 2 Duo (A1342) - late 2009. MacBook unibody 13 " 2.4 GHz ( 7.1) core 2 Duo (A1342) - mid 2010. Lid Cover Door 2010 - 2009. Part numbers: FA0GM000A20. 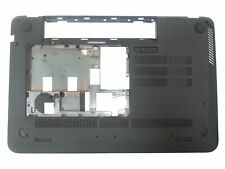 Lenovo Palmrest Top Cover Touchpad Chassis. Number: GB196474657. Number: 8282872. New Bottom Base for Lenovo Z50-70 Z50-75 G50-70 G50-45 G50-80 Cover Chassis. Compatible with Lenovo Z50-70 Z50-75 G50-70 G50-45 G50-80 G50-30. Number: GB196474657. Number: 8282872. Lenovo Z50-70 Z50-75 G50-70 G50-45 G50-30 80 Screen Hinges. MacBook Pro 13” Unibody A1278. MacBookPro5,5 Mid 2009: MB990LL/A (2.26 GHz Core 2 Duo). MacBookPro5,5 Mid 2009: MB991LL/A (2.53 GHz Core 2 Duo). MacBookPro9,2 Mid 2012: MD101LL/A (2.5 GHz Core i5). MacBookPro9,2 Mid 2012: MD102LL/A (2.9 GHz Core i7). Thinkpad T430 T430I T510 T510I T520 T520I T530 T530I. Thinkpad T400S T410S T420S T410SI T420SI T430S T430SI. Thinkpad T410 T410I T420 T420I. Thinkpad W510 W520 W530. is what we are striving for. Note: Due to the difference between different monitors, the picture may not reflect the actual color of the item. 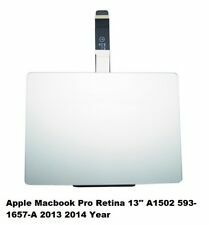 Compatible with AppleMacbook Pro Unibody 13" A1278 Mid 2009, Mid 2010, Early/Late 2011, Mid 2012. We'll be more than happy to satisfy you. Type: Laptop LCD Back Cover. Compatible Model: For A1224. 1 x a1224 pcb Board. DC OUTPUT: 12Vs0-15A, 12Vs5---5A. Condition:New, TESTING good work. Unit: 1 PCS. Just give us the opportunity to solve a problem. Just give us the opportunity to solve a problem. 1 Touchpad. For MacBook Air6,1 "Core i5" 1.3GHz 11" Mid 2013. For MacBook Air6,1 "Core i7" 1.7GHz 11" Mid 2013. For MacBook Air6,1 "Core i5" 1.4GHz 11" Early 2014. For MacBook Air6,1 "Core i7" 1.7GHz 11" Early 2014. NEW Top Case Palm Rest with UK Layout Keyboard for Apple MacBook Pro 15" A1398 Late 2013 To 2014. Compatibility A1398 - Late 2013 - 2014. 1 X A1398 upper case with keyboard and backlight. Without touch pad. 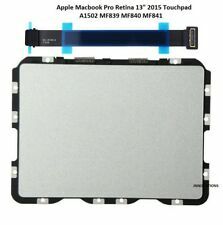 For MacBook Pro unibody 15" A1286 2009 / 2010 / 2011 / 2012. 1 X A1286 Touchpad With Cable. HP PAVILION 15-BW 15-BW059SA 15-BS 15-BS158SA SERIES LAPTOP PALMREST, TOUCHPAD & UK QWERTY KEYBOARD COMPATIBLE PART NUMBER/S : AP204000610 / 925010-031 Color:Black Package Included: 1X NEW Laptop UK Layout Keyboard Please ensure that you match the PART NUMBER above with the original part you are replacing. 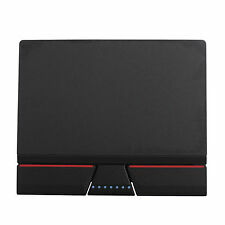 Top Case Palm Rest with UK Layout Keyboard for Apple MacBook Pro 15" A1398 2015. Compatibility A1398 Year 2015. 1 X A1398 upper case with keyboard and backlight. Without touch pad. Palmrest Housing Topcase. Lenovo Thinkpad X1 Carbon Gen 3 Touchpad Trackpad With Three 3 Buttons Key. Compatible Model for MacBook 13" A1342 2009 2010. 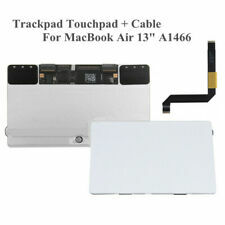 1 X A1342 Touchpad With Cable. For MacBook "Core 2 Duo" 2.26 13" (Uni/Late 09). For MacBook "Core 2 Duo" 2.4 13" (Mid-2010). MacBook Pro 13” A1278. Apple Part #: 922-9063, 922-9525, 922-9773. MacBookPro5,5 Mid 2009: MB990LL/A (2.26 GHz Core 2 Duo). MacBookPro5,5 Mid 2009: MB991LL/A (2.53 GHz Core 2 Duo). MacBookPro9,2 Mid 2012: MD101LL/A (2.5 GHz Core i5). Palmrest Housing Topcase. NEW Top Case Palm Rest with UK Layout Keyboard for Apple MacBook Air 13" A1466 2013 2014 2015. Compatibility A1466 - 2013-2015. 1 X A1466 upper case with keyboard and backlight. Just give us the opportunity to solve a problem. Color: Black. C ondition: Original and New. Compatible Model: For A1419. Total power: 300W. Output: 12Vs5--25A. Late 2012: MD095LL/A (2.9 GHz Core i5). 1 x pcb Board. Late 2012: MD096LL/A (3.2 GHz Core i5). Late 2012: MD096LL/A (3.4 GHz Core i7). 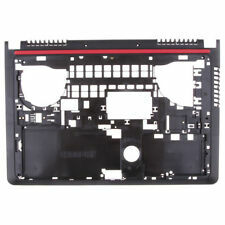 Model: For Macbook Air 11" A1370 A1465. Compatible Model:MacBook Air 11" A1370 2011 A1465 2012 Year. Apple Part #: 922-9971. Year: 2011 - 2012. Compatible Model No:MacBookAir4,1 Mid 2011 (MC968LL/A, MC969LL/A) MacBookAir5,1 Mid 2012 (MD223LL/A, MD224LL/A). Palmrest Housing Topcase. Compatibility A1466 - 2013-2015. 1 X A1466 upper case with keyboard and backlight. Without touch pad. In order to get the identical MacBook keyboard it would be best to use the points below to identify if this keyboard / Palm rest Housing Top case is correct before placing the order. Top Case Palm Rest with UK Layout Keyboard for Apple MacBook Pro 13" A1502 2015. Compatibility A1502 - Year 2015. 1 X A1502 upper case with keyboard and backlight. Without touch pad. Palmrest Housing Topcase. Compatible Model: HP EliteBook 840 G3. 1x Lcd Cover. New and High Quality. Type: Laptop LCD Back Cover. Just give us the opportunity to solve a problem. 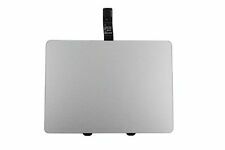 NEW Top Case Palm Rest with UK Layout Keyboard for Apple MacBook 12" A1534 Grey 2016 2017. Compatibility A1534 - Year 2016 2017. 1 X A1534 Grey upper case with keyboard. Without touch pad. Palmrest Housing Topcase. Compatible Model Numbers: Apple Macbook Pro 13.3" Unibody A1278 2009 2010 2011 2012. MacBook Pro 13” A1278. Notes: Only fit for A1278 09-11 series laptop! Include: Touchpad Cable. MacBookPro5,5 Mid 2009: MB990LL/A (2.26 GHz Core 2 Duo).